We all had those films, back in the day of VHS, the ones we watched so much that you could nearly hear the tape crying out for mercy as the heads dragged it through its paces for the umpteenth time. For me there were several but I would think The Edge was one of the few I managed to run more than one copy of ragged. I can’t count how many times I rented it when a trip to Xtra Vision for a new release came up fruitless and when we finally managed to catch it on TV and record it the already worn tape it was recorded on began a journey that it would do well to survive. 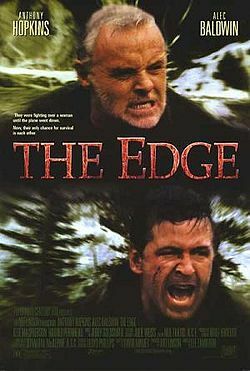 I guess what I’m trying to say is, The Edge is an absolutely fantastic watch that you’ll want to see again. Better Call Saul take a bow. This week we were taken on a journey through Mike’s back story preceeding his arrival in New Mexico and sure enough a Jonathan Banks feature episode did anything but disappoint.